An Ethiopian opposition leader, who was sentenced to death while in exile for plotting a coup, has been extradited from Yemen to Ethiopia, his group says. 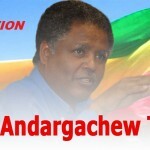 Andargachew Tsege, who is also a British national, is secretary-general of the banned Ginbot 7 movement. The Ethiopian government allegedly requested his extradition after he was arrested in Yemen last month. European MEP Ana Gomes told the BBC the UK needed to use its political leverage to ensure his release. 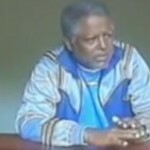 The Ethiopian government has not commented on the alleged extradition. 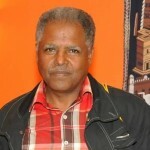 US-based Ginbot 7 spokesman Ephrem Madebo told the BBC’s Focus on Africa radio programme that Mr Andargachew had been on his way from the United Arab Emirates to Eritrea when he was detained during a stopover at Sanaa airport. Mr Ephrem said that he had spoken to Mr Andargachew’s family who had been contacted by the UK Foreign and Commonwealth Office on Thursday. British officials told the family that the Yemeni ambassador to the UK had informed them that Mr Andargachew had been handed over to Ethiopia, Mr Ephrem said. In a statement the UK Foreign Office said it was aware that Mr Andargachew had been missing in Yemen since 24 June. “Since then UK officials have pressed the Yemeni authorities at senior levels to establish his whereabouts, including meeting with the Yemeni ambassador in London this week,” a Foreign Office spokesman said in a statement. Ms Gomes, who led the European Union observer mission to Ethiopia during the 2005 elections, said she had written to UK Foreign Secretary William Hague about the case. “If the British government is not complicit with this kidnapping and this rendition of Mr Andargachew Tsigue to the Ethiopian regime – [which] will obviously torture him, accuse him of all sorts of things and eventually kill him – then the British government has to get immediately the release of Mr Andargachew,” she told BBC Focus on Africa. Mr Ephrem said that the UK government should have intervened in the case earlier. “The UK government looks like a collaborator because the UK government never acted,” he said, adding that it was ridiculous to consider Mr Andergachew a terrorist. “To the Ethiopian government even bloggers are terrorists [and] journalists are terrorists,” he said. In 2009, the year before the last elections, Mr Andergachew was among a group of Ginbot 7 leaders sentenced to death in absentia for planning to assassinate government officials; they denied the charges. 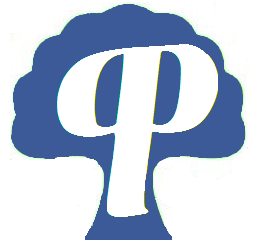 Posted by cybereth on Jul 5 2014. Filed under News, Views and Opinions. You can follow any responses to this entry through the RSS 2.0. Both comments and pings are currently closed.